Amazing video in stunning 4k resolution will take you to a place of solitude and communion with nature. “Ruby Beach. 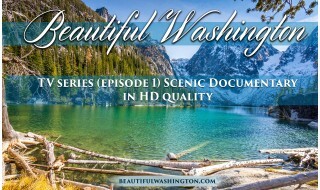 Summertime” in PREMIUM Ultra HD quality from Beautiful Washington and ProArt.inc is a perfect escape from stress and anxiety. Ruby Beach is not a place for swimming, or sunbathing or even surfing. This is the best place for hiking, for exploring tide pools, for wildlife and bird watching. You come here when you long for solitude, peace, isolation and relaxation. The shoreline of Ruby Beach is perfect and offers great views of rain forests, mountains, glaciers and wilderness. If you’ve never visited this place, we encourage you doing it, but for now take a virtual tour with this new and inspiring video in 4K quality. Relaxing and ambient music is combined with soothing nature sounds of wind and waves. 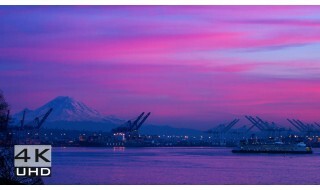 Enjoy the colors of the fading day, when the sky is colored in scarlet, red and orange. Let your imagination soar, leave all your stress and anxiety behind, enjoy soothing nature atmosphere and feel relaxed and restored! This relaxation video is perfect for using it as a beautiful TV screensaver for waiting rooms, spas, restaurants, offices and lounges.